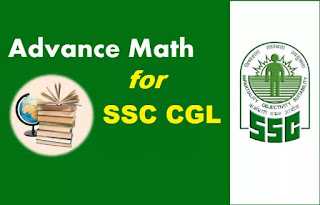 Dear Students, here in Advance Maths Questions for SSC CGL Set 3 we will discus 10 previous year asked questions in SSC CGL. Solve these questions. QID : 1 - If xy+z = 1, yx+z = 1024 and zx+y = 729 (x, y and z are natural numbers), then what is the value of (z + 1)y+x+1? यदि xy+z = 1, yx+z = 1024 तथा zx+y = 729 (x, y तथा z प्राकृतिक संख्याएँ हैं), तो (z + 1)y+x+1 का मान क्या है? QID : 2 - If x + y + z = 1, x2 + y2 + z2 = 2 and x3 + y3 + z3 = 3, then what is the value of xyz? यदि x + y + z = 1, x2 + y2 + z2 = 2 तथा x3 + y3 + z3 = 3 हैं, तो xyz का मान क्या है? QID : 3 - In triangle PQR, the internal bisector of ∠Q and ∠R meets at O. If ∠QPR = 70°, then what is the value (in degrees) of ∠QOR? त्रिभुज PQR में, ∠Q तथा ∠R का आंतरिक द्विभाजक O पर मिलते हैं। यदि ∠QPR = 70° है, तो ∠QOR का मान (डिग्री में) क्या है? QID : 4 - PQR is a triangle such that PQ = PR. RS and QT are the median to the sides PQ and PR respectively. If the medians RS and QR intersect at right angle, then what is the value of (PQ/QR)2? PQR इस प्रकार एक त्रिभुज है कि PQ = PR है। RS तथा QT क्रमशः भुजाओं PQ तथा PR पर माध्यिकाएँ हैं। यदि माध्यिकाएँ RS तथा QR समकोण पर प्रतिच्छेद करती हैं, तो (PQ/QR)2 का मान क्या है? QID : 5 - PQR is a triangle. S and T are the midpoints of the sides PQ and PR respectively. Which of the following is TRUE? I. Triangle PST is similar to triangle PQR. III. ST is parallel to QR. PQR एक त्रिभुज है। S तथा T क्रमशः भुजाओं PQ तथा PR के मध्य बिन्दु हैं। निम्नलिखित में से कौन सा सत्य है? QID : 6 - ABC is a triangle in which ∠ABC = 90°. BD is perpendicular to AC. Which of the following is TRUE? I. Triangle BAD is similar to triangle CBD. II. Triangle BAD is similar to triangle CAB. III. Triangle CBD is similar to triangle CAB. ABC एक त्रिभुज है जिसमें ∠ABC = 90° है। BD, AC पर लम्ब है। निम्नलिखित में से कौन सा सत्य है? QID : 7 - Two parallel chords are one the one side of the centre of a circle. The length of the two chords is 24 cm and 32 cm. If the distance between the two chords is 8 cm, then what is the area (in cm2) of the circle? दो समांतर जीवाएँ एक वृत्त के केन्द्र की एक ओर हैं। दोनों जीवाओं की लम्बाई 24 से.मी. तथा 32 से.मी. है। यदि दोनों जीवाओं के मध्य 8 से.मी. की दूरी है, तो वृत्त का क्षेत्रफल (से.मी.2 में) क्या है? QID : 8 - Two circles of radius 4 cm and 6 cm touch each other internally. What is the length (in cm) of the longest chord of the outer circle, which is also a tangent to inner circle? 4 से.मी. तथा 6 से.मी. त्रिज्या वाले दो वृत्त एक दूसरे को अंदर से छूते हैं। बाह्य वृत्त की सबसे लम्बी जीवा जो अंतःवृत्त की स्पर्श रेखा भी है, की लम्बाई (से.मी. में) क्या है? QID : 9 - In the given figure, PT is a common tangent to three circles at points A, B and C respectively. The radius of the small, medium and large circles is 4 cm, 6 cm and 9 cm. O1, O2, and O3 are the centre of the three circles. What is the value (in cm) of PC? दी गई आकृति में, PT तीन वृत्तों पर तीन बिंदुओं क्रमशः A, B तथा C पर उभयनिष्ठ अनुस्पर्श रेखा है. छोटे, मध्य तथा सबसे बड़े वृत्तों की त्रिज्या 4 से.मी., 6 से.मी. एवं 9 से.मी. है. O1, O2, तथा O3 तीनों वृत्तों के केन्द्र हैं. PC का मान (से.मी. में) क्या है? QID : 10 - PQRS is a cyclic quadrilateral. PR and QS intersect at T. If ∠SPR = 40° and ∠PQS = 80°, then what is the value (in degrees) of ∠PSR? PQRS एक चक्रीय चतुर्भुज है। PR तथा QS, T पर प्रतिच्छेद करते हैं। यदि ∠SPR = 40° तथा ∠PQS = 80° हैं, ∠PSR का मान (डिग्री में) क्या है? 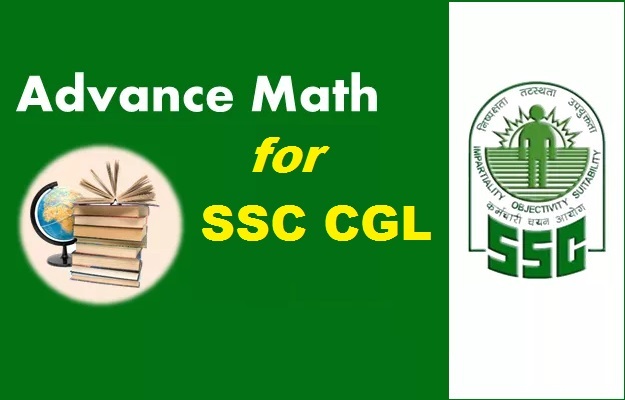 Dear Aspirants solve these above questions and send Ans/Solution in comment box. We will update correct Answer & Solution Tomorrow.